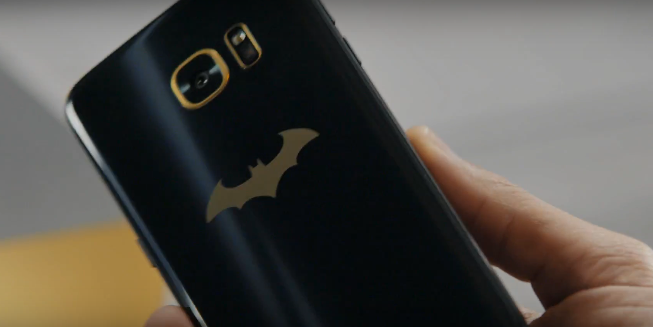 Samsung has released a Batman tribute phone called the Galaxy S7 Edge Injustice Edition to mark the third anniversary of the Injustice: Gods Among Us game. Popping up a time where DC Comics just kicked off a major universe restructuring event in DC Rebirth, just unveiled its new logo, released Batman vs. Superman: Dawn of Justice, and Supergirl moving from CBS to join DC television universe on the CW network, the Samsung Galaxy S7 Edge Injustice Edition is a great vanity phone for the DC fan. 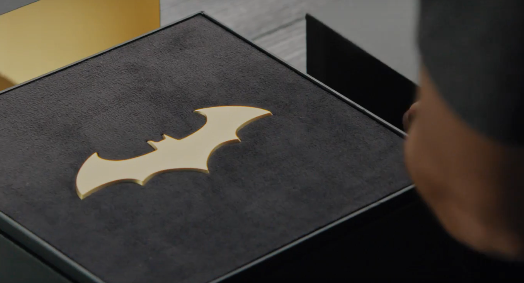 This limited edition GS7 Edge comes in black with the bat symbol on the back in gold, a gold plated Batarang, and a very cool rubber case that resembles Batman’s armor. It will also come with a Samsung Gear VR headset, so there’s a lot of stuff in the anniversary edition package. If you’re questioning availability, it will hit a markets—China, Korea, Latin America, Russia, and Singapore—in early June. It’s expected other markets will be announced very soon to make the most of orders for this special edition GS7. Samsung’s executive VP of global marketing Younghee Lee says the company is excited about the partnership with Warner Bros., the parent company of DC Comics. “Samsung always seeks to provide the best mobile gaming experience for its users, and this partnership reinforces our commitment to the game’s fans,” Lee said in a statement.